Beautiful flowers, love the detail on the leaves !! That's a beauty. I love Hydrangea's and I particularly like the pink ones. The best thing about photos of flowers is the colors it reveals to us, yours especially. 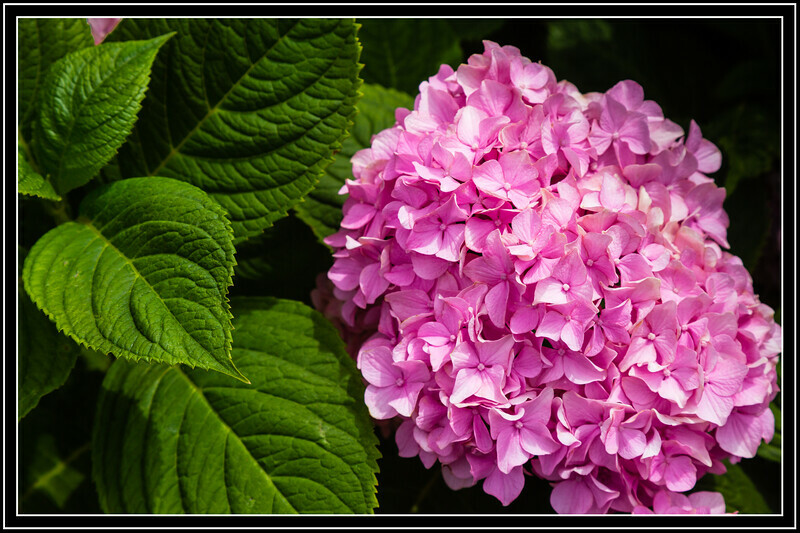 Beautiful hydrangea--I usually see the blue ones, so it is fun to see the pink.